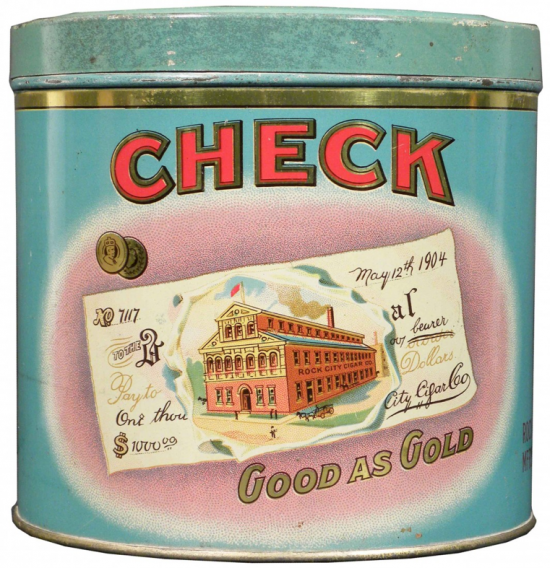 Description: Tin features a check and the subtitle “Good as gold”. 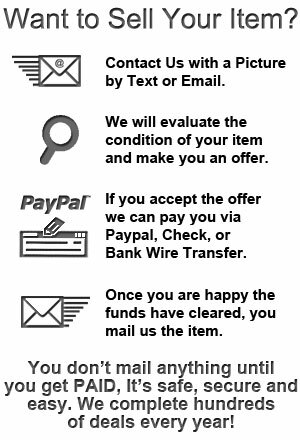 Check has image of Rock City Cigar Co. Factory, dated May 12th, 1904.